When I think of Berlin, beer and a culturally rich city comes to mind. Not an island oasis. But head about 37 miles south of the city and you'll encounter just that. And in an old military hangar, no less. 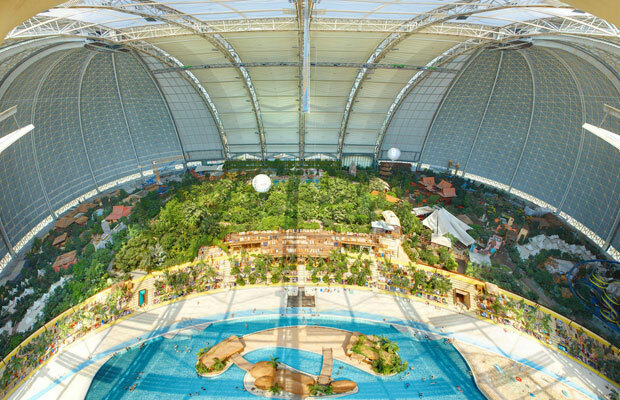 Welcome to Tropical Islands, an entire island-like resort housed in a giant dome. According to their website, the dome is actually the largest free-standing hall in the world – it's big enough to fit the Statue of Liberty standing up and the Eiffel Tower lying on its side. 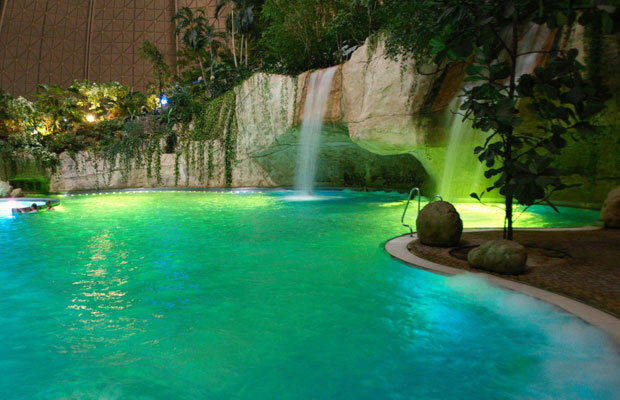 Sunbathe, go swimming in the waterfalls, and even stay overnight in the middle of the world's largest indoor rain forest. 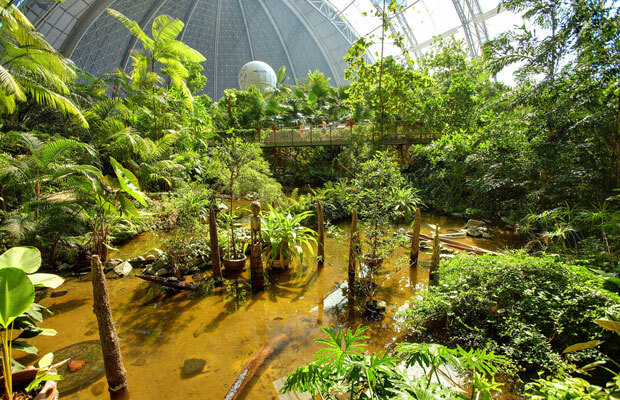 Can't believe that such an indoor oasis exists in the middle of Europe? Check out these photos! What do you think – would you visit the "islands" while on a trip to Berlin? It's certainly an interesting idea and probably sees a ton of chilled Europeans looking to escape the cold during winter.